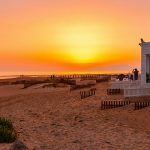 The province of Huelva, in Andalusia, offers stunning unspoilt beaches, natural parks that are unique in the world, fishing villages with a special charm, tradition, history and spectacular climate thanks to its location on the Costa de la Luz. 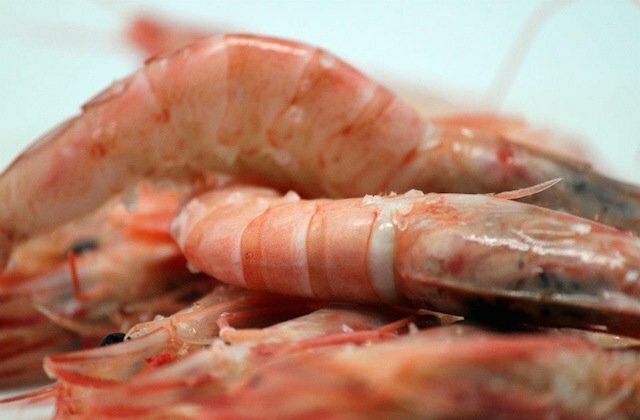 But we have not yet named the gastronomic jewels of the crown of Huelva: the Jabugo ham (which we have talked about in this other post) and the prawn of Huelva. 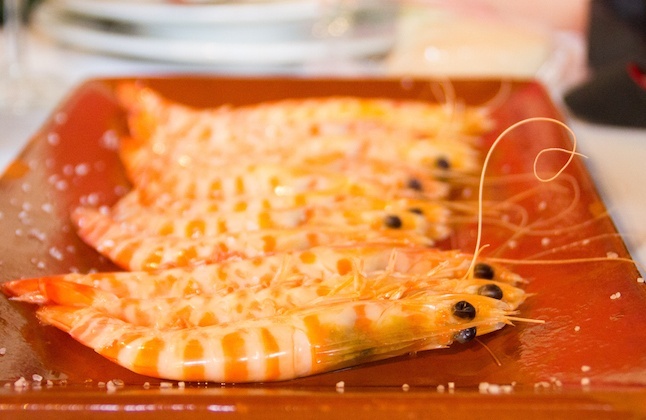 What makes the prawn of Huelva so special? This crustacean (Parapenaeuslongirostris) has a delicious taste and an extraordinary quality, can only be found on the Atlantic coast between the Guadalquivir and Guadiana rivers, where it is captured by hand. Their habitat is muddy or sandy bottoms at depths between 180 and 450 meters. 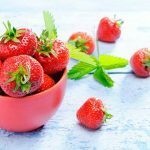 Although it can be tasted in countless recipes, to savor it in all its splendor, it is best to eat it boiled with a little salt and lemon. You will literally lick your fingers. 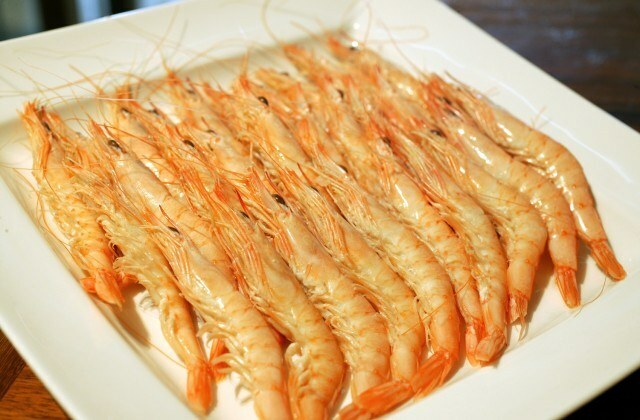 Because, although the protocol aims at eating them with a knife and fork, the prawn of Huelva does not taste the same if it is not peeled and eaten with the hands. Do not forget to ask for lemon wipes so the hands are not impregnated by its particular aroma. How to recognize them and know they are fresh? As we have said earlier, it is called prawn of Huelva or white prawn, and precisely for that characteristic you will recognize it. 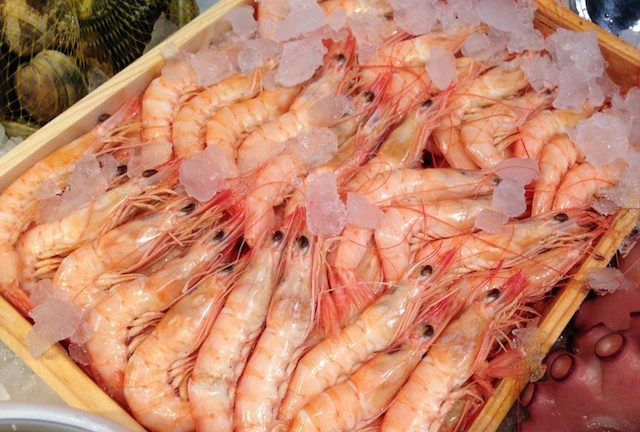 These prawns, although they are not white, but rather pale pink, much lighter than the rest of the types of prawns when they are fresh. You will also easily see a dark mark around the spine that when reaching the head expands and when cooked becomes a coral color. Another of the identifying characteristics of this crustacean with a flattened body is its long and thin whiskers. It is thanks to them we can know whether they are fresh or not. When the prawn is frozen the whiskers are broken and separated from the body, so if they are kept intact you are in front of a prawn sold alive. The main fishing port of the area is Isla Cristina. The main fishing port of the area is Isla Cristina that receives over 90% of the white prawn that is captured. A recommended visit to watch the fishing boats unload the catch and the fish auction in its market that has a reserved area for those who wish to see it live. Take the opportunity to enjoy the Marshes Nature Reserve of Isla Cristina and some of its beautiful beaches. 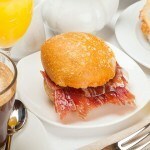 If you cannot wait to taste them, one of the most renowned restaurants in the area is Meson El Gato, in Isla Cristina. In addition to prawns, it has very local specialties like tangerine tuna or choco meatballs. Rice dishes are also delicious. 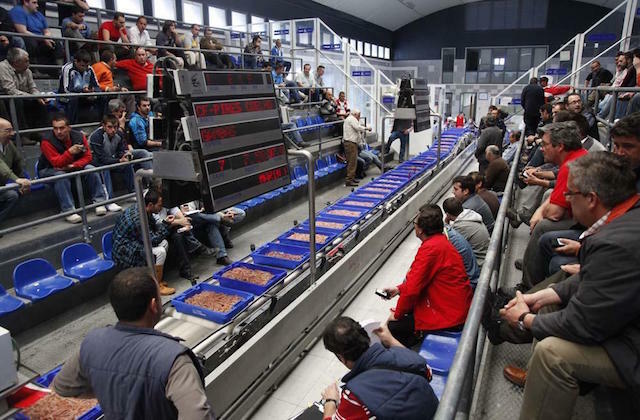 If we follow the path of the prawn, the next place we have to visit is where it is sold to the public: the food markets, such as that of Ayamonte, an essential point to keep track of the prawn. Inside it houses fish, meat, fruits and vegetables of what is fresh and at a good price. 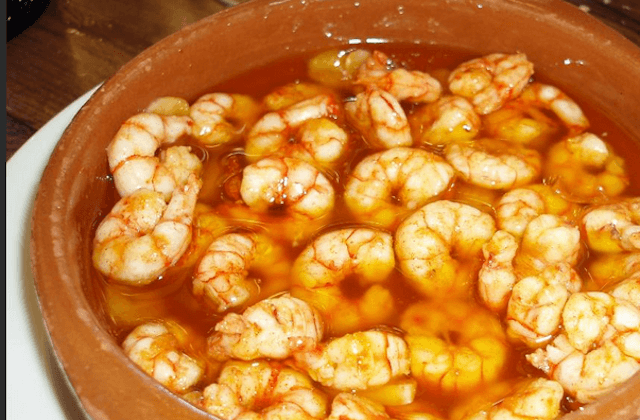 If at this point you are hungry again, one of the most recommended restaurants to eat prawns in Ayamonte is Casa Miguel Ángel. It is a place where the locals go, of a family nature and guaranteed fresh fish. They not only have white prawns, they also highlight the octopus or shrimp fritters. And of course do not forget the good pairing with the Denomination of Origin wine of the County. 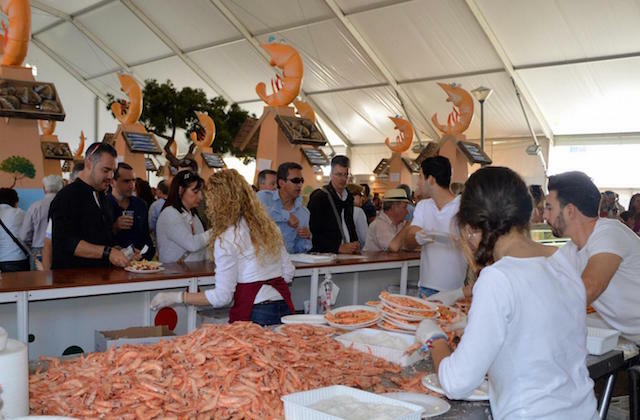 Another of the essential stops is the town of Cartaya, where every August, the Prawn Fair takes place in the Exhibition Hall of the fairgrounds. 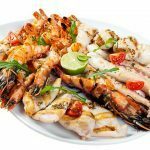 During the four days that the festival usually lasts, 1.000 kilos of seafood are tasted, where the white prawn is the main character but not the only one, because the menu is composed by prawns, shrimp and crabs, among other products of the land. 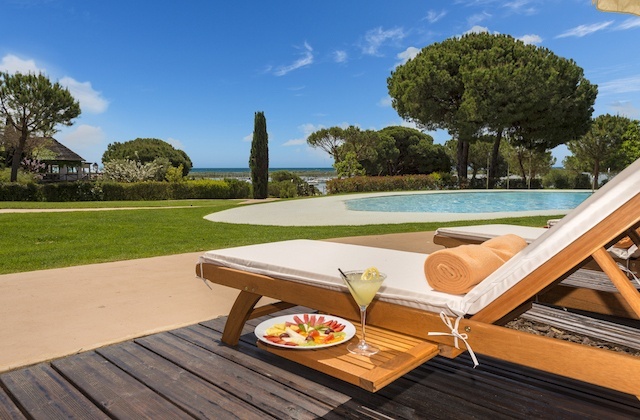 Without leaving Cartaya, the village of El Rompido offers the typical image of a traditional fishing village along the Rio Piedras with spectacular views of the Marshes Nature Reserve of Rio Piedras and Flecha de El Rompido. Here is one of the most paradisiacal and unspoilt beaches in the area to which it can only be reached by boat, in contrast with more than 20 restaurants serving prawns in an endless number of traditional recipes and more innovative ones. If you visit it be sure to eat at the Seafood restaurant Marisquería Doña Gamba, with a terrace overlooking the river and offering breathtaking sunset views. 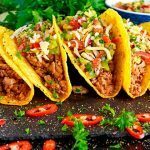 Its Russian salad of prawns is simply magnificent, but has an extensive menu at affordable prices and other specialties like chocolate or marinade. Another of the recommended bars in the area is La Almadraba, where besides prawns we suggest you order a plate of fine clams of Huelva with marinara sauce. And finally, do you think we should finish our themed day of the prawn with a visit to one of the many wine cellars of the Huelva County in Bollullos? A white broth that offers the perfect pairing with the most famous crustacean of Andalusia. Hotel Fuerte El Rompido . 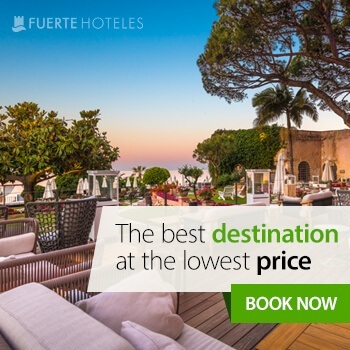 The Fuerte El Rompido Hotel is one of the most beautiful hotels in the area for its spectacular location on a hill that dominates all the Río Piedras Natural Park which offers a perfect place to enjoy the route of the prawn. To this we must add aesthetic Andalusian architecture that harmonizes with its surroundings and a good gastronomic offer based on seafood. It is an ideal place to rest and to practice sports surrounded by nature. The nearest airports are those of Faro and Seville, located at 94 km and 99 km respectively.